A thought-provoking title for the keynote address by Tyler Schnoebelen at the recent “International Workshop on Emoji Understanding and Applications in Social Media”. The workshop, which took place at Stanford University, USA, on June 25, brought together computer and social science researchers and practitioners from academia and industry. “Outside of emoji researchers, lots of people still forecast disaster or dream of universal communication, even if most of us are confident that neither are nigh. Despite our protests, emoji inspire visions of apocalypse and utopia”, said Schnoebelen. The “utopian” vision sees emoji “as a universal language, the great democratizer and harbinger of communication across class, culture, and geography. And then there’s the doomsday vision: emoji as the destruction of language, a political tool, a new way to send violent threats. The nuance often gets lost in between”. So reads an interesting recent article reporting on the event in Wired magazine (1). As researchers Sanjaya Wijeratne, Amit Sheth, and Horatio Saggion pointed out in their presentation (2) emoji are “inherently polysemous” and their meaning “can change based on the language, culture, and context”, adding that things are further complicated by the fact that there are differences in their rendering across platforms. Other researchers noted that it is possible that emojis are perceived differently according to different genders (3). And that they may be subject to temporal variations (4). Not to mention the fact that there are new emojis added every year by Unicode and that meanings can evolve over time. Wijeratne and his fellow researchers in their presentation spoke of the difficulties in teaching computers to recognize the multiple meanings of emoji. Their “Emojinet” platform is an interesting experiment in setting up a machine readable emoji meaning repository (5). 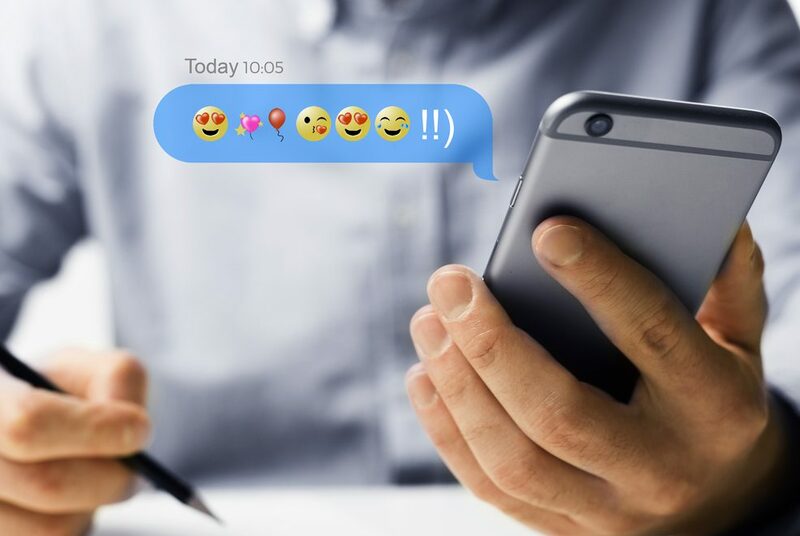 Difficulties in interpretation of emoji can also lead to misunderstandings in legal contexts, as a legal scholar at Santa Clara University’s School of Law highlighted in his presentation on emoji and the law. Linguists Gretchen McCulloch and Lauren Gawne, who argue that emoji are more akin to “beat gestures” (gesticulating to add emphasis) rather than to a language, said that “if emoji are language, emoji must have a grammar” (6). In this respect, we would like to mention the work carried out by Italian linguist Prof. Francesca Chiusaroli and her team, the first-to the best of our knowledge-to have developed an emoji grammar and glossary. Which it has used to “translate” the book Pinocchio from Italian to emoji: a brilliant linguistic experiment and a very enjoyable “read”. We have written about this recently in our blog (7) and challenged that if all could agree on a common grammar and meaning for the icons, emoji may well have the potential to become a universal language. Now whether that is desirable or not is a different matter… In any case discussions at the workshop did not go this far: according to Wijeratne the point of the event was “not to answer questions about the role of emoji in our world, but to connect researchers from around the world and spark ideas for future studies”… Looking forward to future developments.